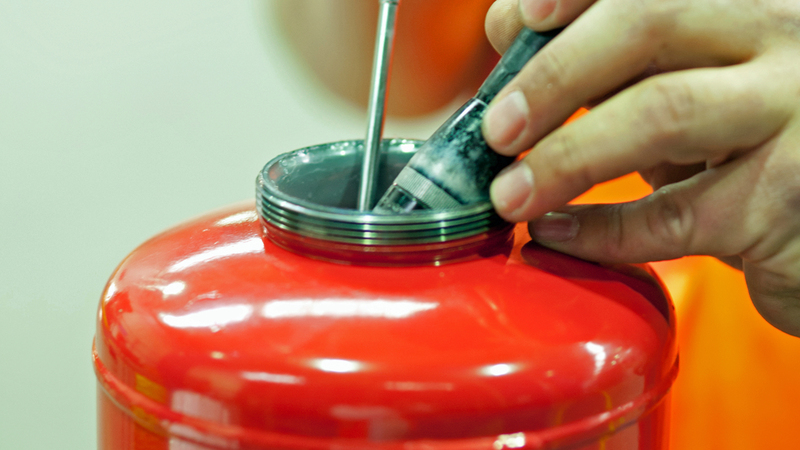 Saval has been the leading training centre for REOB-certified maintenance engineers – now known as ODB (Extinguisher Maintenance Expert) – for small extinguishers since the early 80s. We have a long track record of thoroughly preparing course participants for their work. During the strongly practice-based course at our training centre in Breda, students are familiarised with the fire-fighting equipment they will encounter in practice. Not only are they thus well prepared for their daily work, they are also ready for their exam. Candidates trained by Saval have historically had very high pass rates! Quality in fire protection has become an absolute priority, certainly in recent years. It goes without saying that quality can only be guaranteed by keeping the knowledge and expertise of service engineers at a high level. A service engineer needs to have good basic knowledge in order to be able to see the most important differences and risks at a glance. After all, if used improperly, an extinguisher can change from being a safety product to being an unguided projectile. 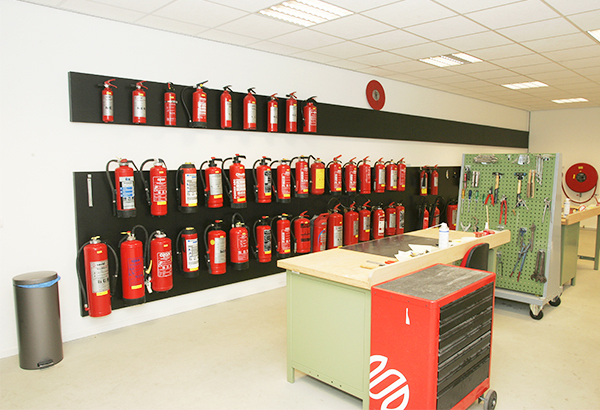 Our practical area has extinguishers of every type and construction. 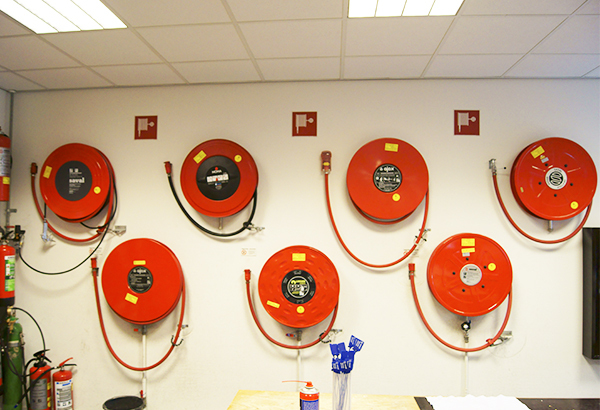 At Saval, the training extends to fire hose reels and wheeled fire extinguishers. Our practice area is equipped with both so that course participants can gain hands-on experience. Naturally we offer the full REOB/ODB course, which lasts six days. After those six days, we also offer a ‘refresher day’ at no extra charge, which is held just before the exam. This involves summarising the course, answering questions and giving the participants the opportunity to practice one last time before the exam. The ‘Extinguisher Maintenance Expert Application Course’ represents an important part of the training pathway for service engineers. This course, which every service engineer must take once a year, guarantees that even experienced ODB engineers are up to date with the latest developments. This is no luxury, because there are frequent significant changes in fire protection. On the first day of the course, you will receive the ODB textbook. The cost is included in the course price. This book is based on the final and exam terms of the ODB training programmes and, besides a lot of information, also contains exercises per chapter and a number of test papers to prepare for the exam. The exam is held by the independent examinations body Certoplan. If you complete the exam successfully, the Extinguisher Maintenance Expert Vocational Training diploma will be sent to you or your employer by post. 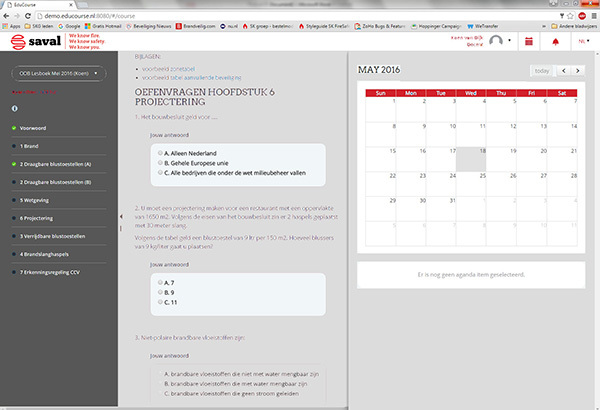 The exam dates, which are shown at saval.nl, are decided in consultation with Certoplan. 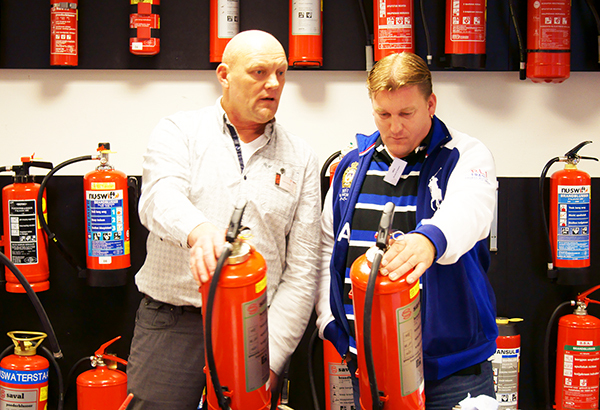 No previous training is required to follow the Extinguisher Maintenance Expert Vocational Training course. However, some affinity with technology is desirable. For larger groups, we can deliver a course at a location of your choice. For example, we can conduct extinguishing drills in a special mobile extinguishing practice unit which can be set up anywhere. We will be pleased to tell you about the options. Unique in the Netherlands is the opportunity to take the ODB course by means of e-learning. Ask us about the options.